Hello Hello ! I'm so happy to be joining you today! 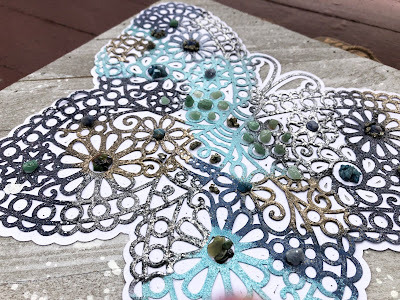 When I thought about this month's theme, "Singing In The Rain", I thought about what I like to do when it rains...craft of course! 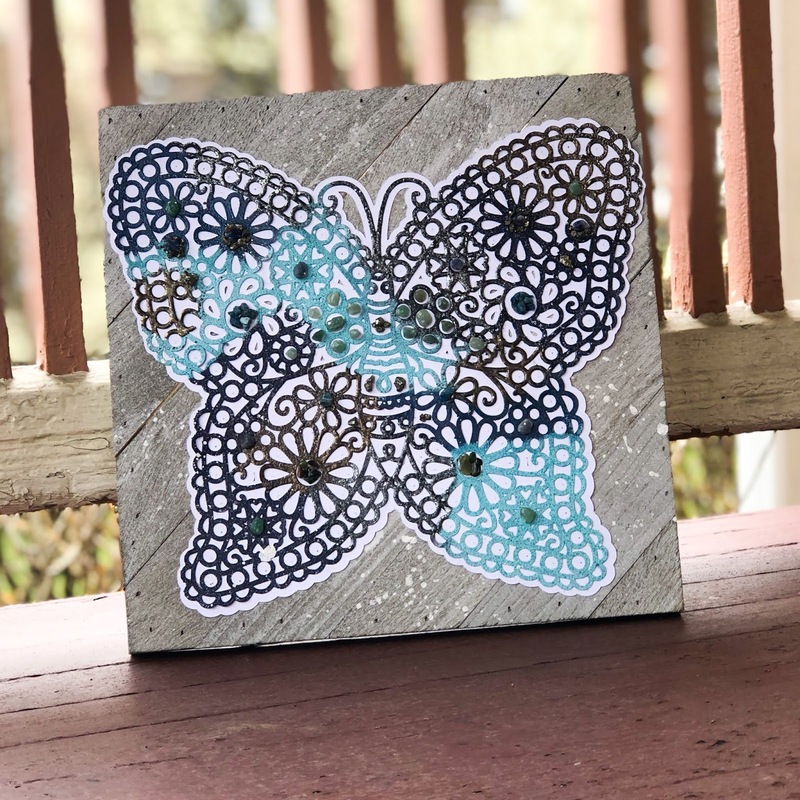 In the climate I live in, April means LOTS of rain, but it also means spring is here, and spring means butterflies. 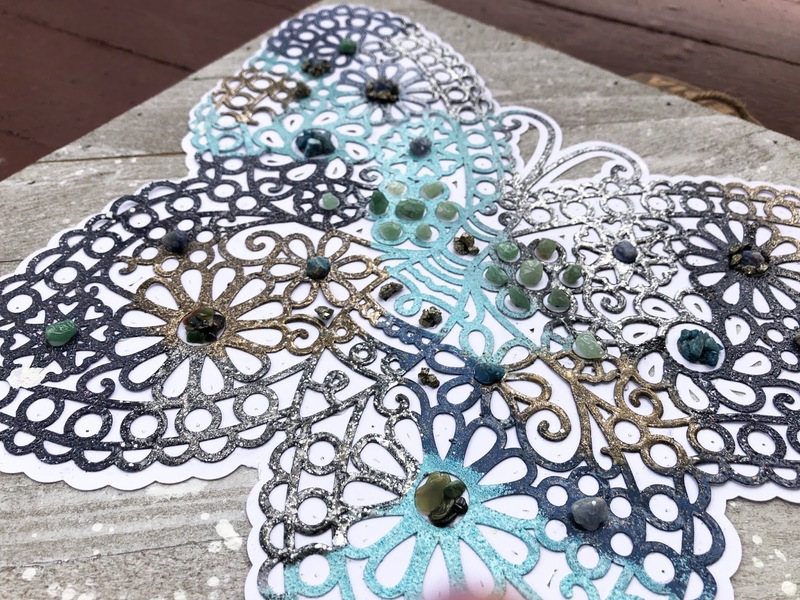 Soooo...I went with a fun wall hanging of a butterfly with lots of colors that remind me of spring rain! 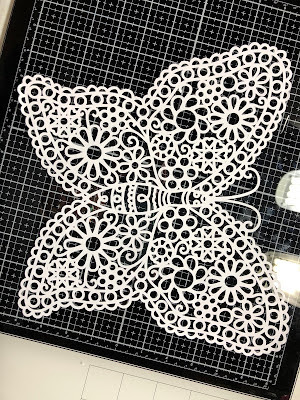 My project started with a cut file. 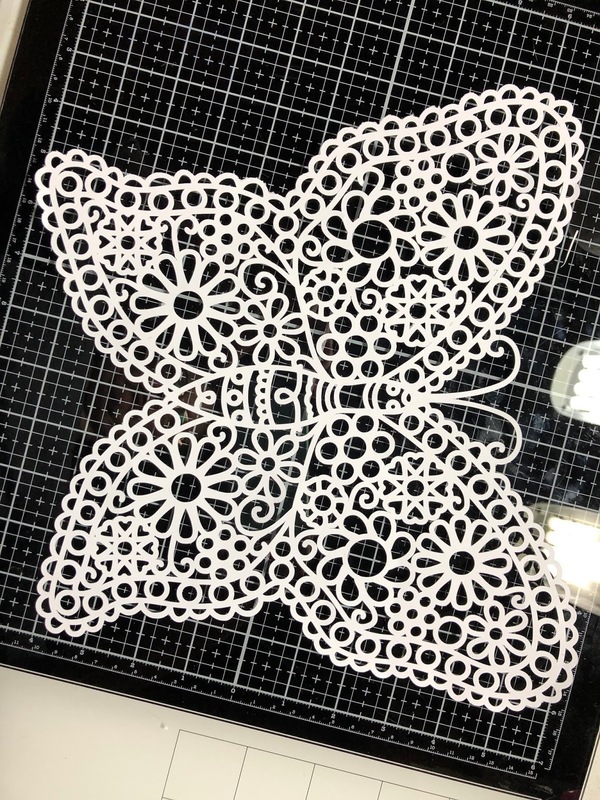 I cut it from heavy white cardstock on my Silhouette. I also cut a shadow layer to place behind my butterfly to make it POP off of my weathered wood plank. Once I had my file cut, the fun can begin. 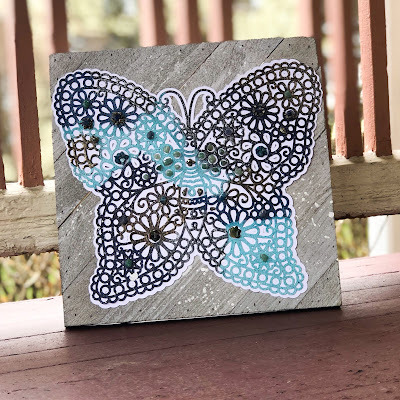 I used my favorite embossing ink to ink up sections of my butterfly and applied lots of different embossing powders. I overlapped some and let them melt into each other. I applied two coats to areas that seemed a bit "thin". I just kept adding layers till I was happy with the results and no white showed. 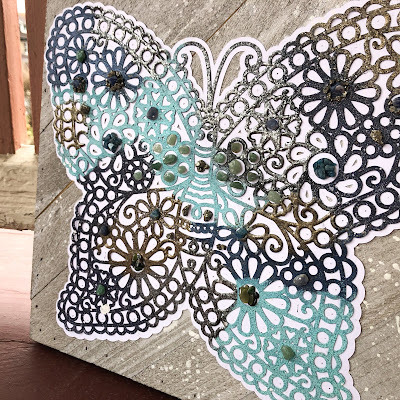 Once I had my butterfly completely embossed, I adhered the butterfly to the shadow layer and then to the weathered wood plank. Now to add some final textural touches! Lastly, I watered down some heavy body acrylic paint and splattered on some for added effect. Thank you so much for joining me today! I hope the next rainy day that comes your way inspires you to create something beautiful! 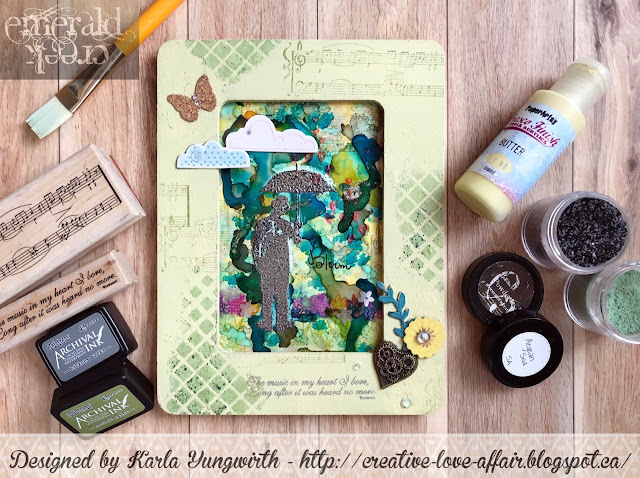 We DARE you to create a project inspired by our Singing In The Rain challenge! 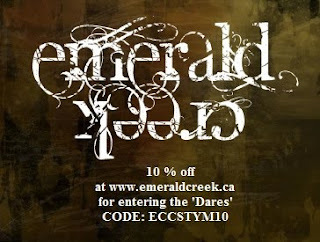 on your posts as well so we can reference them and if you add and tag various Emerald Creek product you will get a bonus entry. At the end of the month we will pick a winner to receive a prize as well as link up their project and share it out.